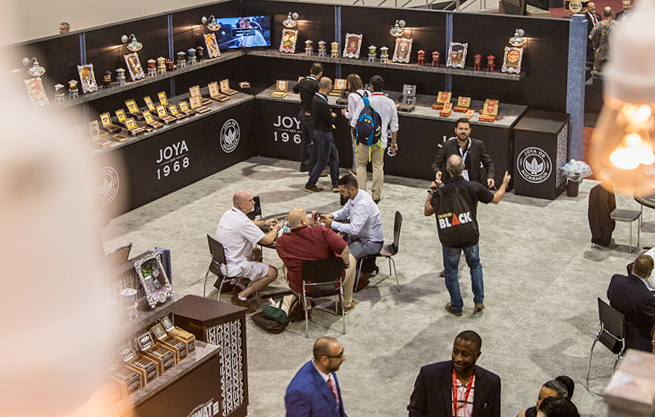 Another year, another IPCPR: The oldest, largest and most active trade association representing and assisting premium retail tobacconists and their suppliers. 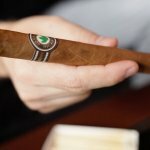 Hosted in sunny Las Vegas from July 24-28, it was three and half days of cigar immersion with 900 stores in attendance. 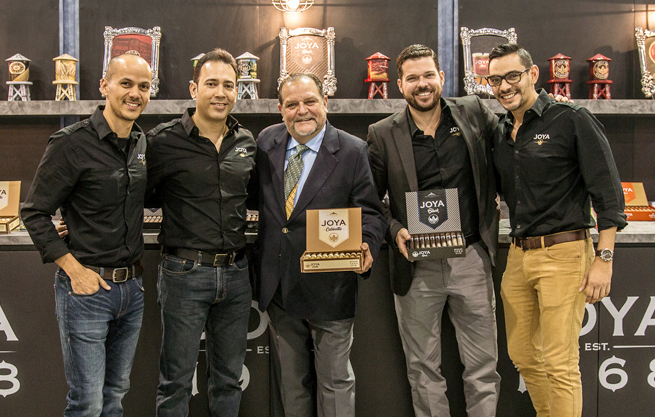 Joya de Nicaragua has been attending this event for 20 years, more specifically since 1996 – when the event was called RTDA. We were especially excited to participate this year because it gave us the chance to share and celebrate two major events with the attendees. 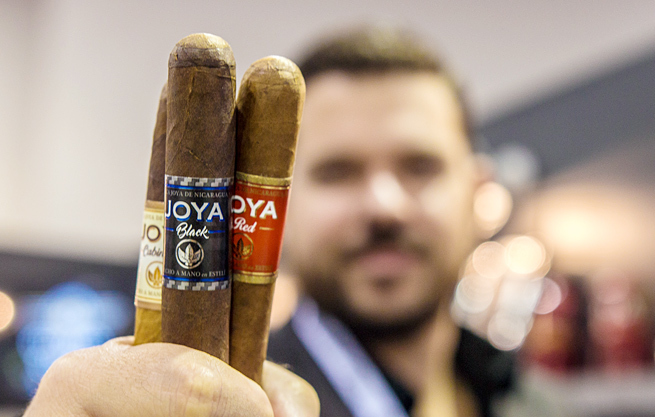 First, the new facet of Joya de Nicaragua with the introduction of the JOYA family which in addition to Joya Red now includes the Joya Cabinetta and Joya Black. And secondly, we got to celebrate the 15th anniversary of our one of our most iconic cigars, the Antano 1970. However, it was our Joya Black the one who really stole the show. All of the 1,500 samples we brought to share with you were gone by the end of day two. The Cabinetta was not too far behind, as we were happy to receive extremely positive feedback on it. In addition to its new look, the Cabinetta is also now available in new size and has an extended Criollo wrapper at the tip. The event wouldn’t have been such a hit without the help from all retailers and friends who stopped by, thank you! Our booth with Drew Estate was located at the main entrance; It was 8800 square feet, making it the largest one in the show. Our privileged location allowed us to interact with the audience and retailers from all over the country. On that note, thanks to our Drew Estate hermanos for an amazing job! In the meantime, we’ll work on making sure that you get to taste our new cigars by meeting with international distributors to bring the new brands to the rest of the world, including Australia, Canada, Rumania, Russia, Germany, and Italy. Consequently our Cuatro Cinco Reserva Especial will also be making an appearance in more shops around the US.